Try Our Online Sports Award Designer! 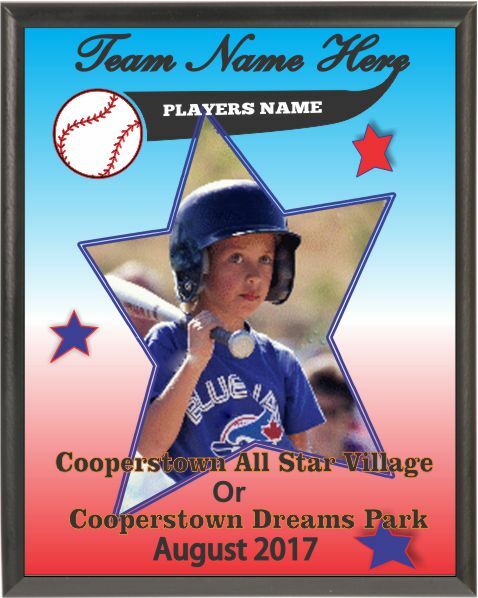 Want To Create Award Plaques Online Using Your Own Pictures and Custom Text? Try Our Sports Award Designer Today! Sunburst offers a wide array of custom sports awards and trophies for any occasion. Whether you are trying to congratulate your teams’ MVP or a whole team of players, we have the personalized trophies you are looking for. Our trophies range from the traditional resin figurine, on a classic base with an engravable plate – perfect as any award – to entirely custom, full color wall plaques complete with your child’s photo, name, team name and the camp that they attended. Want to save the game winning baseball? We have the perfect solution for that. Need a large trophy to commemorate that huge achievement? We can custom build those for you too. Need more information or just want to get started? Just speak with an associate at our Oneonta, NY store in the Southside Mall, Give our main office a call at (607) 263-5061 or complete the form on this page and we will guide you through the process. Die Sublimation on Wood Plaque.